In a digital age where even the most widely used mobile OS isn’t secure, it is natural for an Android user to feel insecure. While messaging services like WhatsApp can enable you to encrypt calls and texts on Android, you need a universal solution. Cyanogen Mod is famous for many things, and its ability to encrypt calls and texts is one of them. This feature is brought to the custom ROM platform by Open Whisper Systems, which has also created a way to have secure conversations across the mobile platform. With the help of their app Signal, you call and text messages can now be secure. 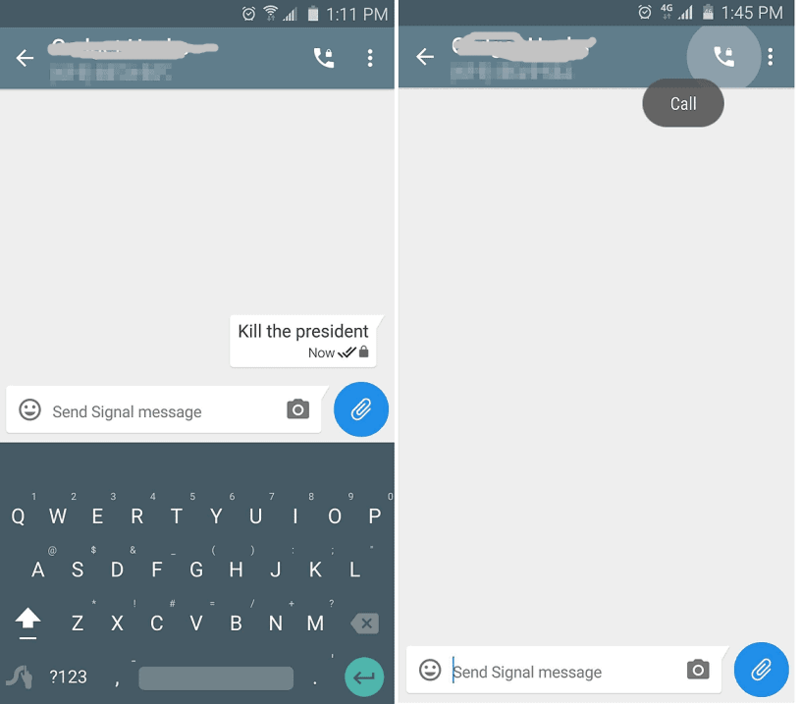 Signal Private Messenger is a singular app that combines the feature of text and calls encryption across the Android and iOS platform. You can download the app for free from the Google Play Store or by pressing the link given below. 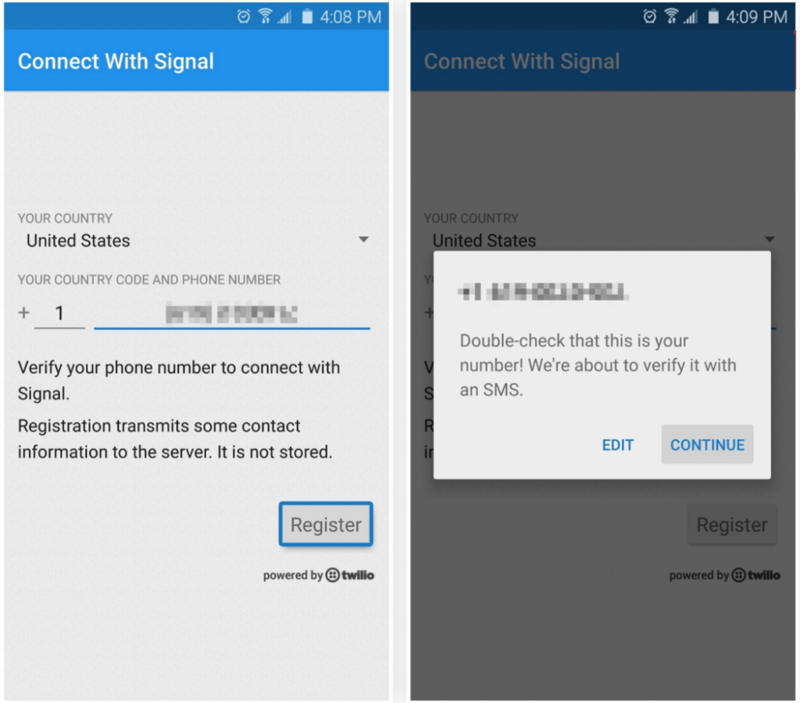 Before you can encrypt calls and texts on Android with Signal, you need to verify your phone number. Enter your country code and phone number, press “Register” and hit continue to verify your number. Once verified, you’ll be prompted to set Signal as your default SMS app, so continue by pressing “Yes”. 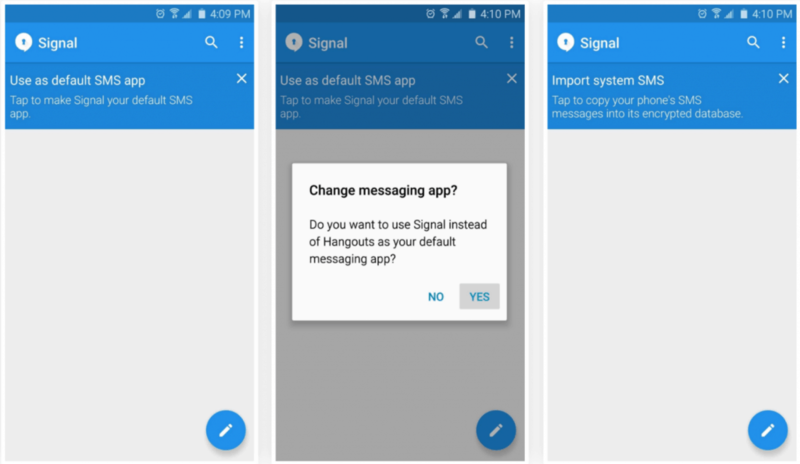 Now, another pop-up banner will ask you to merge your existing messages with Signal Private Messenger. So tap on it to copy all your SMS conversations from the stock Messaging app to Signal. Note: To have encrypted conversations between two users, both of them should have Signal Private Messenger installed on their device. You can simply open up any contact and press the “Invite to Signal” banner to send them a download link for the app. Once the other person has installed Signal on their device, the banner will disappear and you will be able to have secured conversations. You can then “Send Signal message” to the other user and you will be able to see a lock icon next to the text. In order to make a secure phone call, press the phone icon on the top-right corner (with the lock icon). The top of the screen will read “Signal Call” which denotes that the call is taking place over an encrypted network line.